Image copyright: Mathias Nordvi, ARR. (Tissue stain: H+E). This section is from the parotid gland. It is a strictly serous gland with a well developed capsule and septa which gives it a lobulated look. 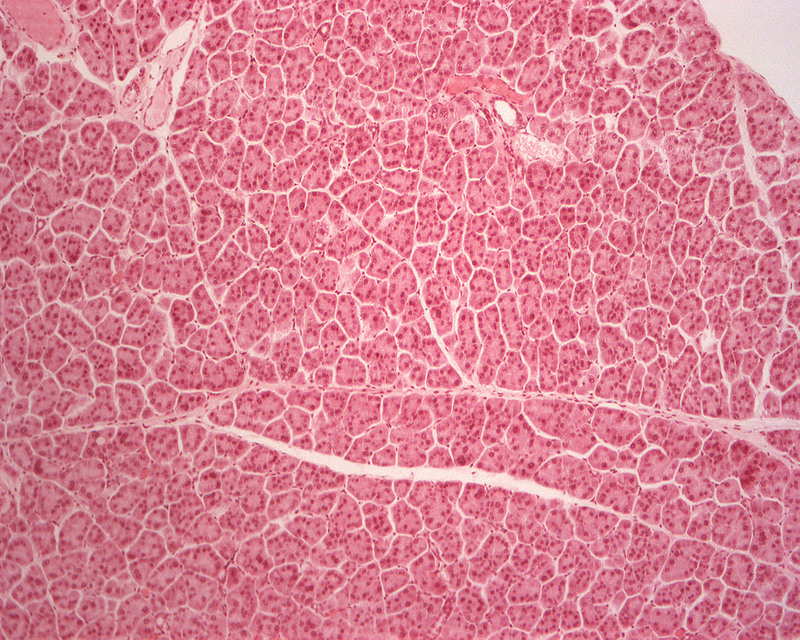 Within the connective tissue (in the interlobular space), there are large excretory ducts, arteries and veins; both last mentioned structures are filled with blood. Published July 5th 2015, updated December 21st 2018. - Of course there are errors! Please let me know so that we can get things right.